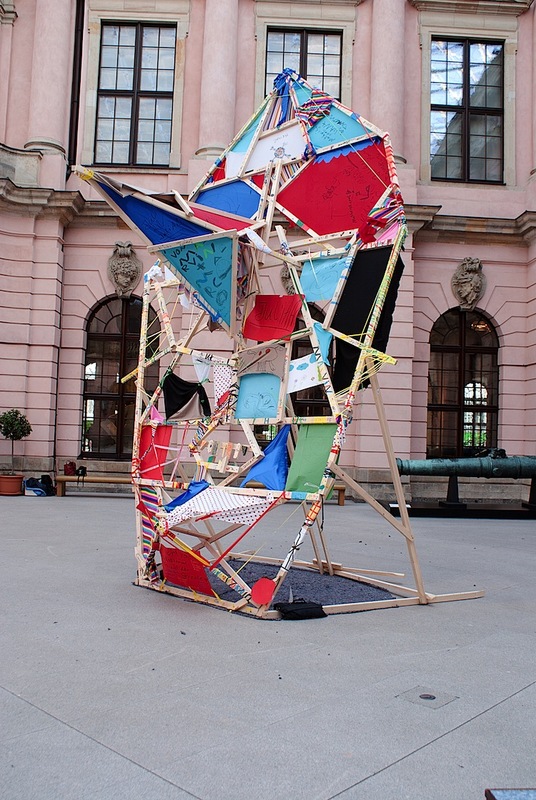 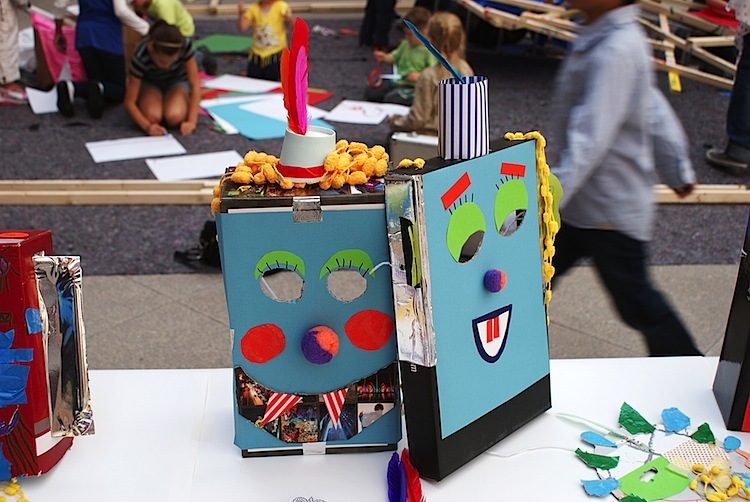 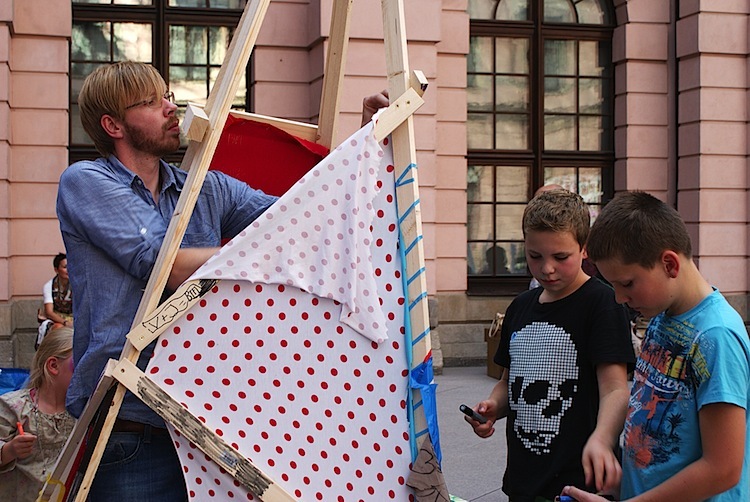 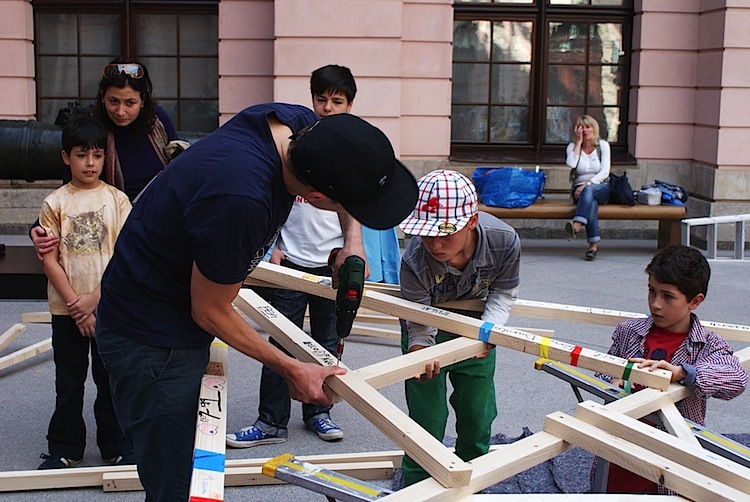 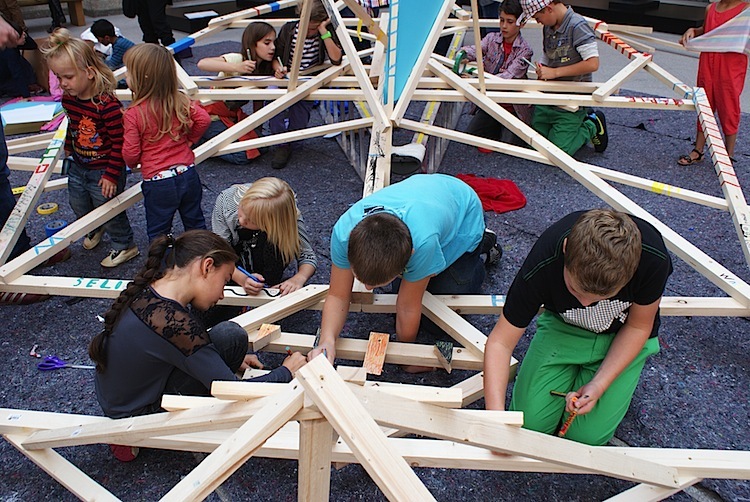 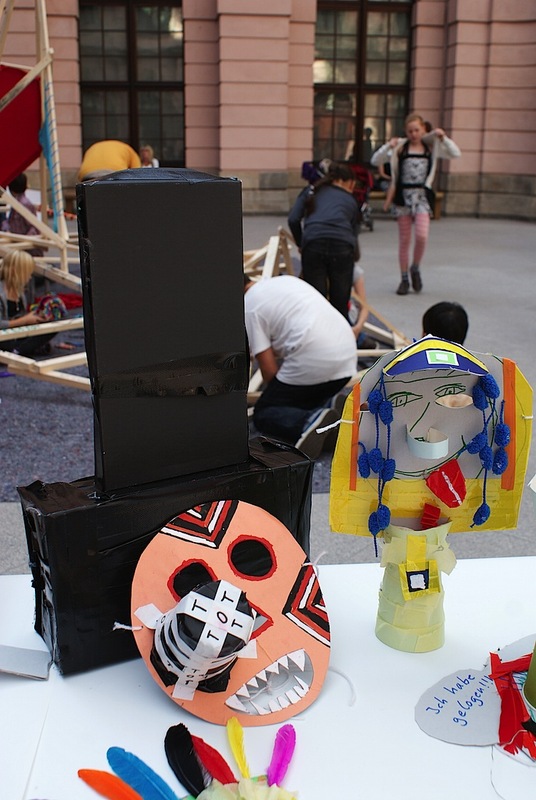 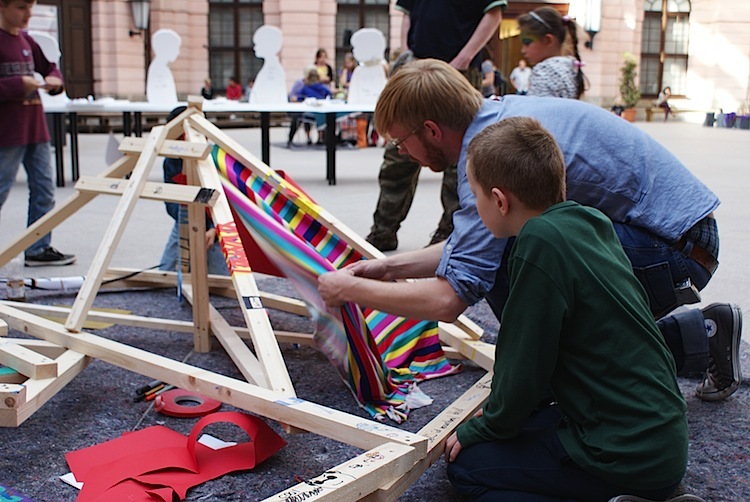 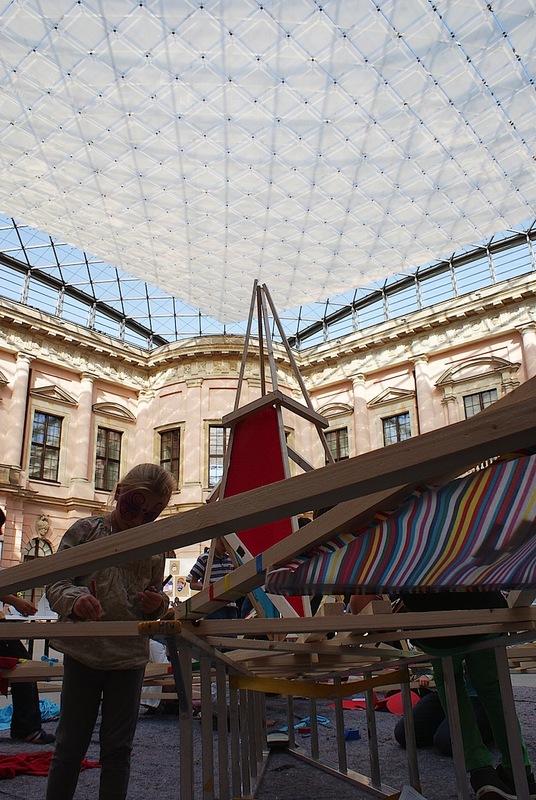 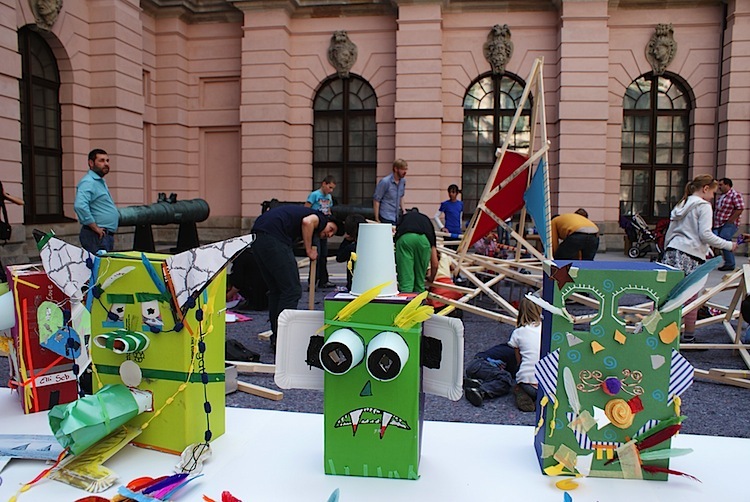 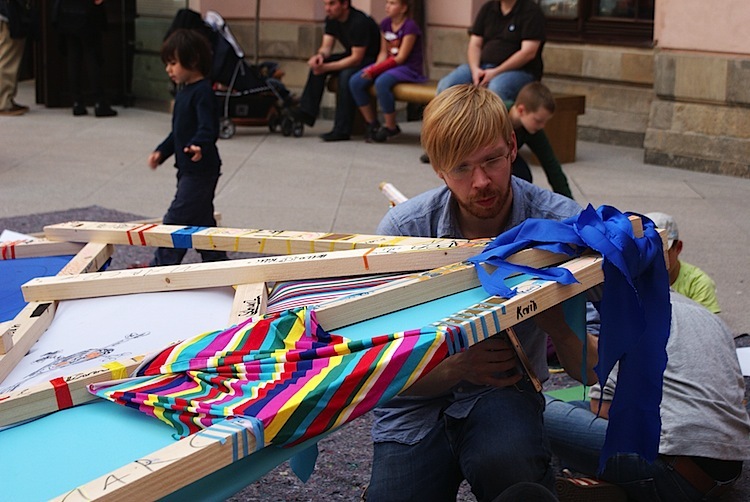 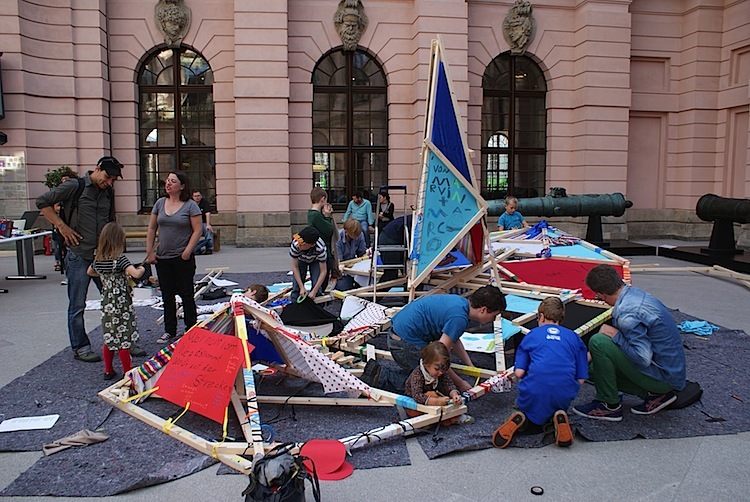 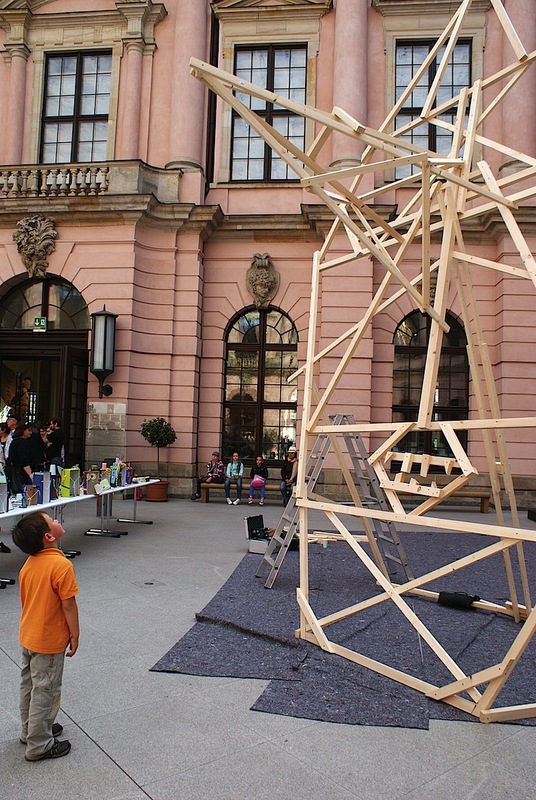 The organisers of »Kunstherbst für kids« and the German Historical Museum invited us to host a workshop for kids. 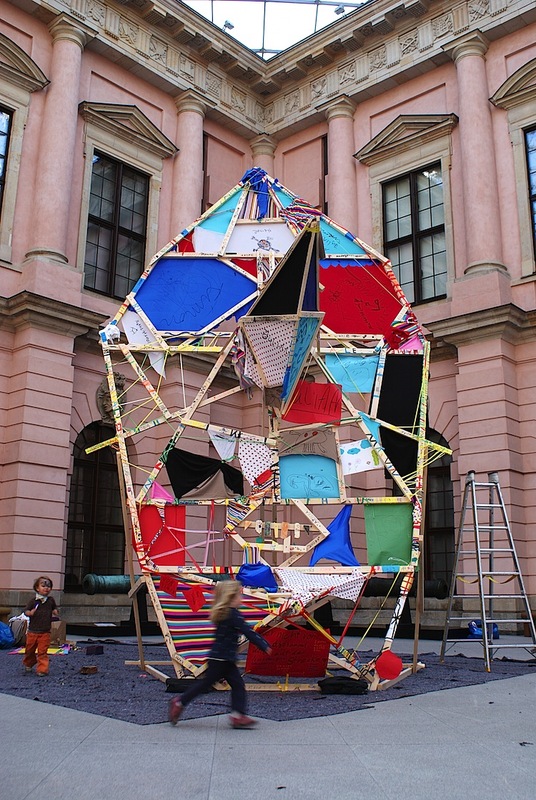 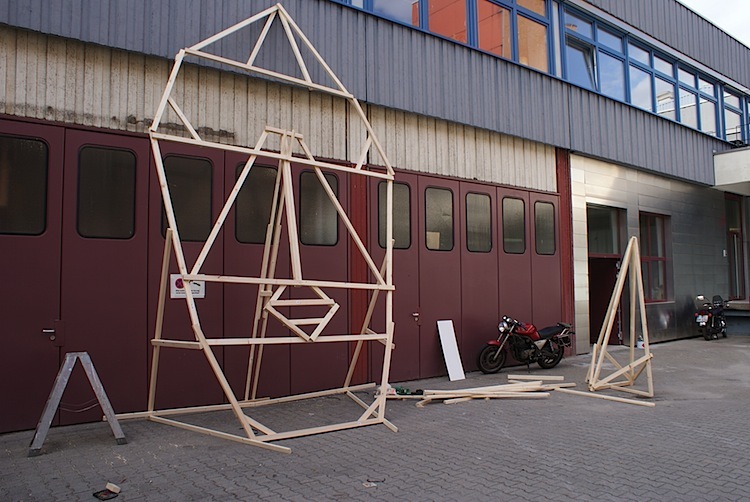 With their help we built a colorful, oversized mask, so huge in fact, that it required 6 people to lift it. 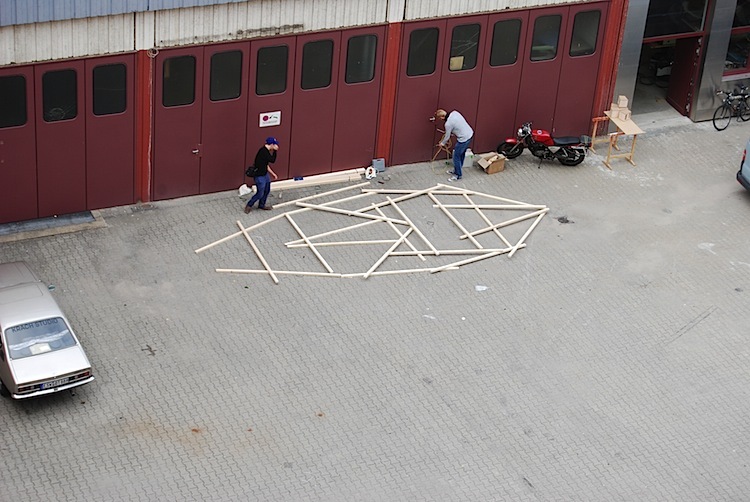 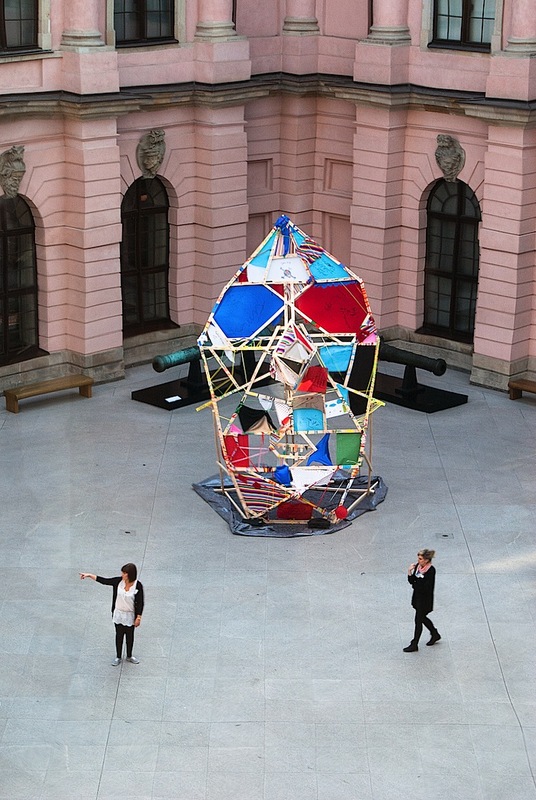 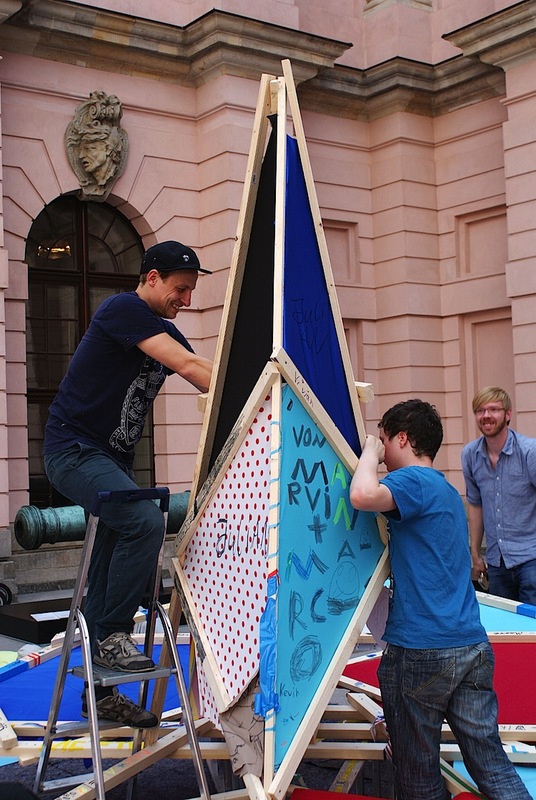 With the help of some strong hands we carried the piece to the backyard aka the Schlüterhof, where it remained on display for 2 whole weeks. 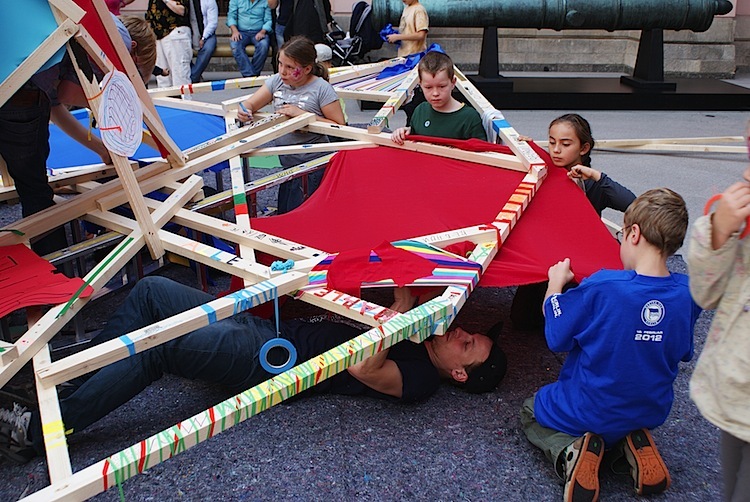 It’s no secret that we love being around kids, as they always remind us that true creativity is about playfulness and when done right it should always feel effortless.